settings default and you can turn on autofire if you want to. 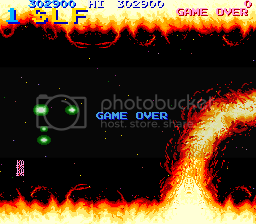 Just to let my partner know, I posted my (measly) score on the shmups forum. I'll try to improve and then move to this place. BTW, can we give our team a name too? Will post mine there too, then. Haven't had much time besides today, unfortunately! EDIT: Couldn't see the thread for scores over there.